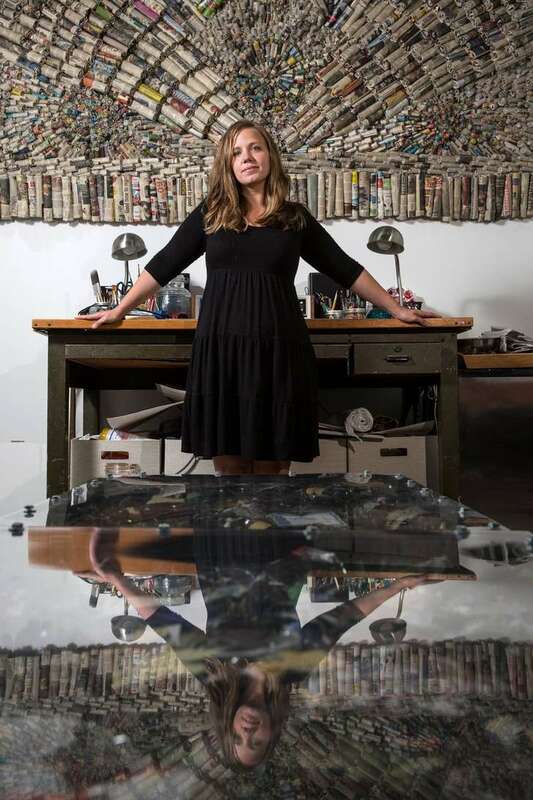 ​If you would like to know more about me, Jeanne Claire van Ryzin captured my essence and work in this profile piece featured in the Austin American Statesman. I journaled about my 5-year goals before ever meeting with her and I specifically said that I had hoped to be covered by such an art critic as respected as Jeanne Claire. I am honored and thrilled to have had this goal met. The amazing photography and shots taken in my studio were done by the brilliant Tamir Kalifa. A massive THANK YOU to all of my supporters who nominated me for this year's Best of Austin awards. I am honored and humble to be given such a wonderful title by The Austin Chronicle's readers, tied for Best Visual Artist with the lovely and local Jennifer Balkan. Visit The Austin Chronicle's Best of Austin 2015 page to see more of the great winners this year. 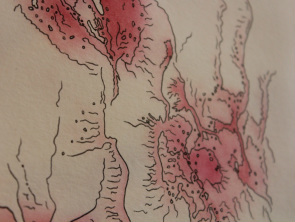 Jenn Hassin is a Texas born artist and currently resides in Austin, Texas. She honorably served in the United States Air Force and later graduated with a degree in Studio Art in 2012 from Saint Edward’s University. One of her most poignant installations, Letters of Sacrifice, is currently on display at The Pentagon in our nation’s capital. 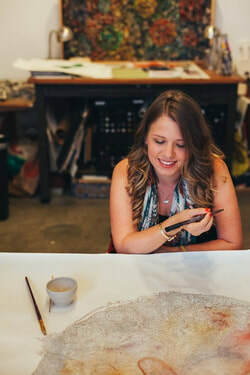 She also has a piece, Receptacle, that will be on display at the Elisabet Ney Museum in Austin, Texas where she is asking for viewers to take part by writing messages to the universe on paper that she will later use for a one-of-a-kind work. Hassin’s work has also been shown at Walter E Washington Convention Center, The Craft and Folk Art Museum, The Museum of Craft and Design, Craft in America, The Mid-America Arts Alliance, Georgetown Arts Center, Southern Methodist University, St. Edward's University, The University of Texas, Dougherty Arts Center and The Texas Military Forces Museum, as well as in private collections. This past March, Hassin took stage at the American Israeli Public Affairs Committee Policy Conference in Washington D.C. and had the opportunity to share with 9,200 guests about her work, as well as exhibit her art. Public speaking and community engagement are both essential to Hassin's statement-making pieces. My work is a labor of love and an obsession for our current issues. Research and facts influence my use of materials that I carefully choose. My personal journey layers itself within my detailed works to reassert the importance I put on time and labor for my art. We all work through tragedies and my art is an exploration through the voice of the distressed groups or a tragedy I seek to represent. I use newspaper to act as a time capsule of our current issues. Whether they be issues of race, our justice system, death, our military, suicide and mental illness, our media has a way of eloquently putting these topics on paper. Capturing these headlines and statements are my way of educating my viewers of these various issues. I also use handmade paper from clothing. Military uniforms, prison uniforms, everyday clothing, clothing worn while being raped or while working in a surgery unit, are all transformed into soft paper that I rip up and roll into tightly spiraled objects. This spiral represents an individual life, from beginning to end. Sometimes I use statistics to discuss facts behind these issues in order to drive home a point, using a one rolled piece of paper for each life represented, giving the paper a voice. This process turns into layered conceptual pieces, in which I have every intention of making a difference and promoting change. Creating beauty on a one-to-one ratio is important to my art in that it emphasizes the experience of the individual. Pretty portrait or not, we each exist more honestly in our own raw materials. When I can make beauty out of these materials, these raw pieces, I feel my conceptual art is truly able to expand and challenge its audience. This little beetle is from the Curculionoidea super-family and is called the Weevil. Coincidently, the Weevil rolls leaves much like I roll paper. Weevil's are considered to be a pest, much like some have found me to be over the years. You can call Orkin if you'd like to get rid of me. Although some might find it strange that I connect with this pest, I find it to be the perfect trademark for my work. The monotonous and mindless actions of the Weevil remind me of the repetitive nature of my art, both the drawings and the rolled paper works.